to allow users to surface Google Search data in Google Analytics by linking their Webmaster Tools accounts. We’ve been busy making some improvements and tweaks based on user feedback, and today we’re excited to make this set of reports available to all users. 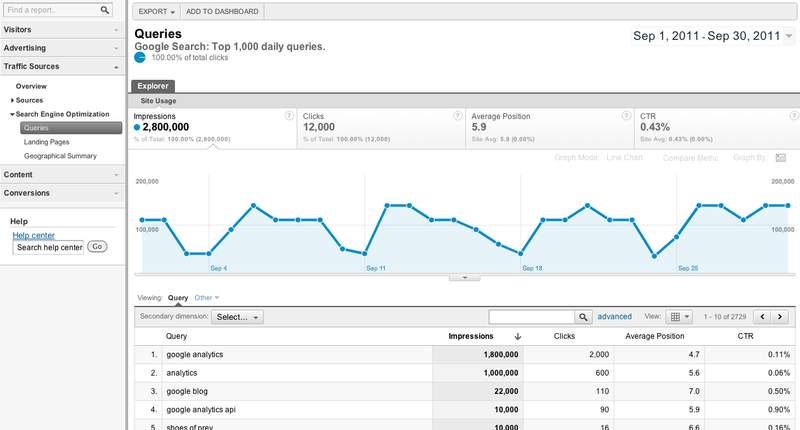 To start using the reports you first need to link your Google Analytics and Webmaster Tools accounts. You can get step by step instructions and additional information on the reports in this Help Center article. If you’re not already using Webmaster Tools, we highly recommend you start. It’s a free tool that helps you understand how Google sees your site. 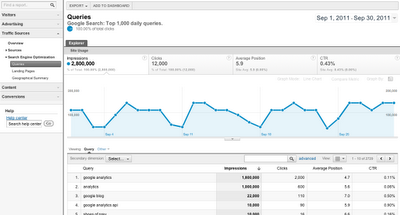 Sign up on the Google Webmaster Tools homepage. Enjoy the new reports, and let us know how they’re helping your analysis. Back in June, we announced a pilot program to allow users to surface Google Search data in Google Analytics by linking their Webmaster Tools accounts. We’ve been busy making some improvements and tweaks based on user feedback, and today we’re excited to make this set of reports available to all users.